We've already established that today I am very hung over and generally out of it. Yet, even as I sit here, unable to hold my head up straight, my mood is gradually being improved by a rock and roll band who truly understand the artistry of the genre. These high energy hard rock hedonists have hellish chops, holding high a holy sort of heavy metal pride, filled with memorable riffs and melodic guitar solos. The sort of thing that dominated the 80s, and this world can only do with more of. True rock and roll for all the kids and punters out there. 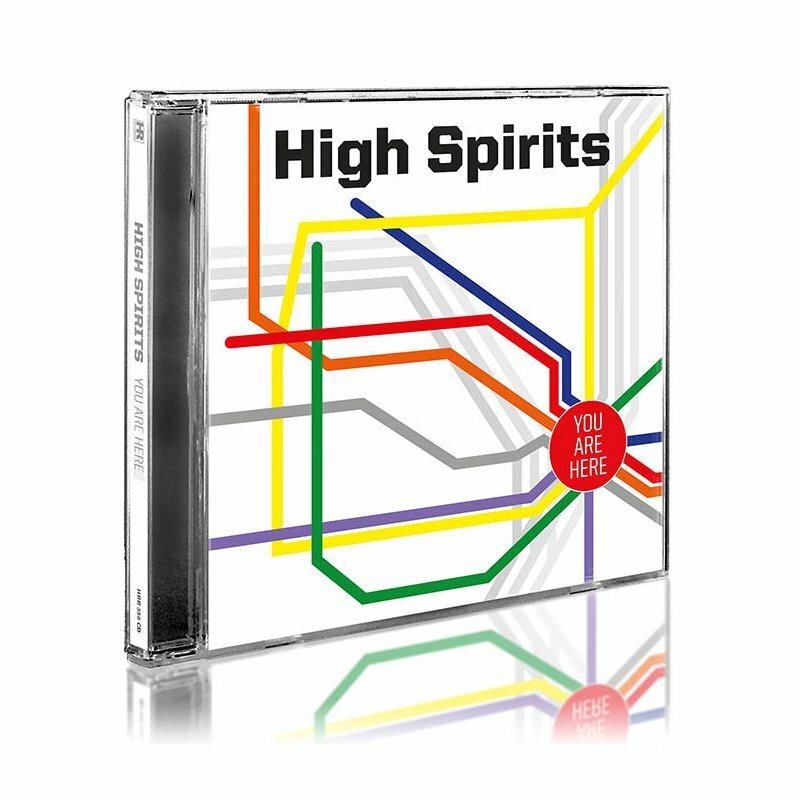 You see, here's the thing, High Spirits aren't just some sort of revival band, in line with the rock and roll revival that seems to be dominating 2014, this record has a distinctly modern touch. There is something about the approach to the guitars and the vocals that shows that these guys, while they may love Judas Priest and company, they also spent a fair amount of time listening to more modern hard rock titans. Furthermore, High Spirits have a very professional and together approach to songwriting, they get what they want to do and their clear artistic direction allows them to really stand out. The vocal hooks drag you in and prove that this is the sort of rock music that will never die. So that's the magic of You Are Here, it really just gets at something wonderfully primal, the beating heart of rock and roll, couched beneath layers of tight songwriting and some of the best vocal work that I have heard from a new band in years. It's fun to dig into High Spirits and find the internal magic that they extol. Filled with triumphant solos and memorable choruses, I could see this band going far. As they go out and take over America on their upcoming tour, I think that High Spirits could very well trigger a mass uprising and truly bring rock music back to the fore.